God created you to operate beyond the limitations of the three-dimensional world that you see around you. 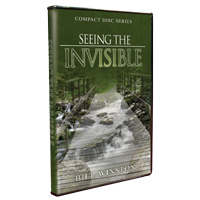 There is another dimension, an “Invisible” realm that is more real, vibrant, and powerful than anything you can see. Once you learn to see into this Heavenly realm nothing will be impossible to you, absolutely nothing!